Oball™ Rollie Rattles™ get the fun rolling! These clever toys are soft, and flexible – even the tiniest hands can pick them up! Babies will love this easy-to-grasp toy so much that they won’t want to put it down. 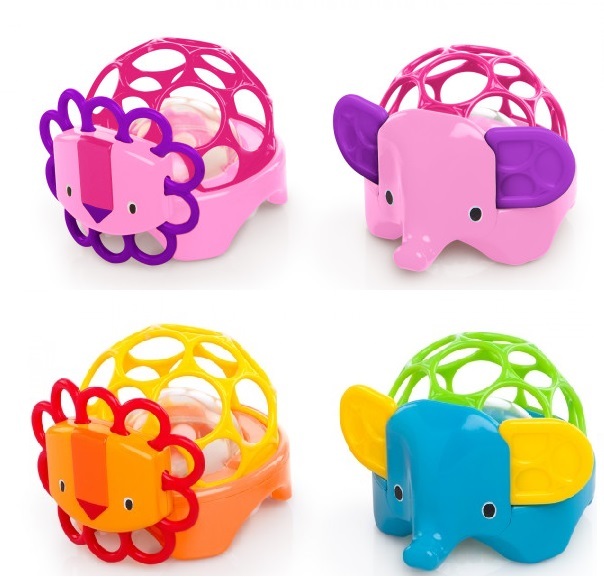 Your little one will get a grip on playtime with these fun rattles!